-What is a “podcast?” Am I one or Not on Spreaker? -Is content you only upload to YouTube a podcast? -Is there such a thing as a Live Podcast? -Seems over my head to understand how to podcast! 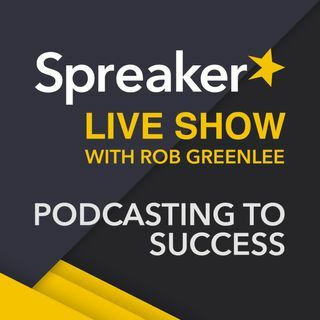 Starting a podcast is not always easy, we at Spreaker make it as easy as possible, but even we present frustrations to the process because you must learn how to use the platform. I (Rob) spends a lot of time each week with new podcasters to help them get through these Frustrations and Fears. Every podcaster has some of these fears and frustrations.. I still have them after 13 years of podcasting. “What is and How do I get quality cover art? Enjoy Italy! It's one my favorite places. Have a great trip Rob. Mangi moltissimo Italiano! It is the 20 minute shows I do that on, usually 200 M.B. Make text BOLD in your podcast cover art and use larger images in the cover art image as the show art is displayed in all sorts of sizes. Must be readable in small sizes. You can use Paint Shop or Photo Shop to name two. You can find pre-made images as *.jpg or *.png free, no attribution required, from Pixabay and Pexels. I use NCH MixPad and place each part in a track, making sure the volume levels for the tracks match the other tracks. Hi, Thank you for listening to the Live show today.